How will the Mesolithic fit into the archaeological and palaeo-environmental assessment protocols (desk-based and fieldwork), prospecting-sampling strategies, mitigation-preservation decisions and, if these projects happen, recovery-dissemination-curation? Geophysical prospecting and macro-sampling strategies, for example, are either developing practices for our period and the nature of its archaeological footprint, or are unlikely to be suitably granular for identifying Mesolithic/Neolithic past activity areas. So what happens when the bulldozers go in? There are two significant development proposals in the Teesside and North/East Yorkshire areas at the consultation/investigation-assessment stages of the planning process. Both involve pipe trenches—one for the transportation of potash-in-solution from near Whitby to a processing plant on Teesside (Wilton) and the second to carry electrical cables from a proposed offshore wind farm on Dogger Bank, landing between Marske and Redcar and progressing to Lackenby (also Wilton). Both projects are required to consider risks to both the natural (ecological) and historical (archaeological and built) environment. You might be interested to learn more and become involved in the consultations, as a local stakeholder or as an advocate for our heritage. Major developments challenge us to get involved throughout the process and to balance the prospect of economic & social benefits—proposed and realised—with a conscience around our archaeological assets. While we care about conservation and preservation, we might also see major new discoveries. Can we help manage those through to something which adds perspective and value to an engaged and interested community? I would only ask what that “community” looks like and why it cares. There has already been considerable press coverage, and some accompanying controversy, about Sirius Mineral’s proposed new mine-head at Sneatonthorpe, a few kilometres south of Whitby. For example, listen to the BBC Radio 4 programme “Potash of Gold” (April 2013, audio). Unlike the rail-transported potash from the Boulby mine, Sirius propose a pipeline carrying two steel pipes up to 700mm in diameter buried at a minimum depth of 1.2m that will carry potash in solution under pressurised conditions. Having rejected rail, road and offshore pipelines, the proposed inland route, 44.5km in length, traverses the North York Moors National Park, following the A171 Whitby to Guisborough road for a significant portion, then towards Upleatham (with known Mesolithic presence) to a processing plant on the Wilton industrial complex south of the Tees. *by which they mean geophysical survey, watching briefs and selective excavation. The archaeological assessment (unpublished) states “A number of undesignated assets are either crossed by the pipeline route, or have the potential to fall within the working width.” 71 out of 257 identified through HER or field survey are specifically called out, spanning the Late Neolithic-Bronze Age through to post-Medieval. Many will be aware of the stream of unusual, often unique, sometimes nationally important discoveries in a region considered an archaeological ‘backwater’ in the not too distant past. 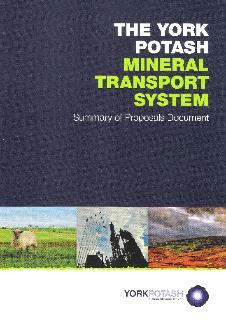 The Summary of Proposals Document (booklet) can be requested from Sirius Minerals on the York Potash Project website. More information about the entire project can also be found there and there is an invitation to submit comments and questions, although your editor had to wait some weeks for a reply. See also the North York Moors National Park Authority press release (Jan-2013) although the mine-head and pipeline proposals are separate projects. An offshore element (the wind farms) located on the Dogger Bank in the North Sea, some 125 to 290km from the coast and covering 8,660 km² with a sea depth of 18 to 63m. Cable lines connecting landfall sites with the National Grid at two points: (1) Creyke Beck near Cottingham in East Yorkshire; (2) running to the industrial areas between Teesport and Lackenby (there are four ‘projects’ with two ‘connection points’). There are extensive resources available on the Forewind website including a comprehensive Zonal Characterisation Document (ZCD) (v2 Dec-2011, 21Mb PDF) which includes a full analysis of geology, ecology, archaeology (including wrecks and aircraft) and many other aspects of the onshore and offshore catchments. It is well-structured with copious references and worth a read, irrespective of the proposals. Dogger Bank, or Doggerland, is part of a post-glacial land-bridge between Britain and continental Europe, probably (with some evidence) intensively occupied and exploited by Mesolithic communities until the North Sea inundation around the seventh millennium BC. The ZCD is skeptical about the survival of offshore archaeological deposits (due to “scouring” during sea-level rise), but acknowledges the significant archaeological and palaeoenvironmental potential of the offshore wind farm zones. According to the website, Archaeological field surveys and trial trenching along the proposed onshore pipeline routes will be conducted by URS (a US commercial company with UK presence) during May-June 2013. 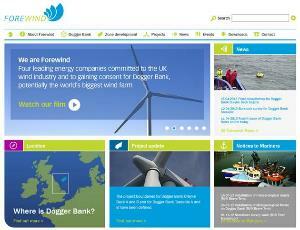 Consultation on Dogger Bank Teesside is being carried out in two formal phases. Phase One (May-June 2012) | During this phase, “Forewind explained the site selection work done to date, including the process to narrow down the locations of the offshore wind farms, landfalls and converter stations. Stakeholders were invited to provide comments on the proposals while local people were specifically asked for information on issues to be considered when choosing the precise locations for onshore and offshore elements of the project.” The Preliminary Environmental Information 1 documents and other consultation materials are available to download here and hard copies are available locally from the locations listed here. Phase Two (anticipated to be 2013) | During this phase Forewind will ask the local community for comments on the detailed proposals for Dogger Bank Teesside. “We are working with Wessex Archaeology Coastal and Marine to assess the impact of the Dogger Bank wind farms to offshore archaeology. This comprises the archaeological assessment of both geotechnical and geophysical data aimed at an in depth analysis of the palaeo-landscape and palaeo-environment and the potential for prehistoric archaeology, as well as the assessment of maritime and aviation archaeology. In addition Forewind is working closely with The Crown Estate to record any finds under the ORPAD protocol (Offshore Renewables Protocol for Archaeological Discoveries) as a result of our extensive survey programme. Onshore, the baseline archaeology assessment is being undertaken by the heritage team at URS www.ursglobal.com and is currently on-going. We have consulted English Heritage and the archaeology advisor to Redcar and Cleveland Borough Council – Phil Abramson and his colleagues at NEAR, who will no doubt be known to TAS members. The suitability for geophysical survey was discussed and agreed with Redcar and Cleveland Borough Council. Subsequently a programme of detailed magnetometry for the onshore cable routes has been carried out, and the interpretation plots are currently being processed. The results are very clear and several areas of enclosure and trackways have been identified which are indicative of late prehistoric and Roman settlement-related activity. In addition, the surveys have identified anomalies relating to First World War practice trenches at the landfall. The fieldwork is being undertaken by Archaeology Services University of Durham and all reports will eventually be uploaded to OASIS and submitted to Tees Archaeology (for their records) and to the council. We are planning to consult on a draft version of the environmental statement for Dogger Bank Teesside, which will cover both onshore and marine archaeology, in the autumn. We will send you details of this consultation nearer the time and would appreciate any comments or feedback that Teesside Archaeological Society and the Council for British Archaeology Yorkshire may have. This entry was posted in British archaeology, Hunter-gatherer-fisher, Mesolithic and tagged Archaeology Services University of Durham, Cotswold Archaeology, Dogger Bank, England, Forewind, Mesolithic, North York Moors, OASIS, Redcar and Cleveland, Sirius Mineral, Teesside, Upleatham, Wessex Archaeology, Whitby, Wind farm, York Potash by Spencer Carter. Bookmark the permalink. an excellent, well researched and informed post! Thank you once again.